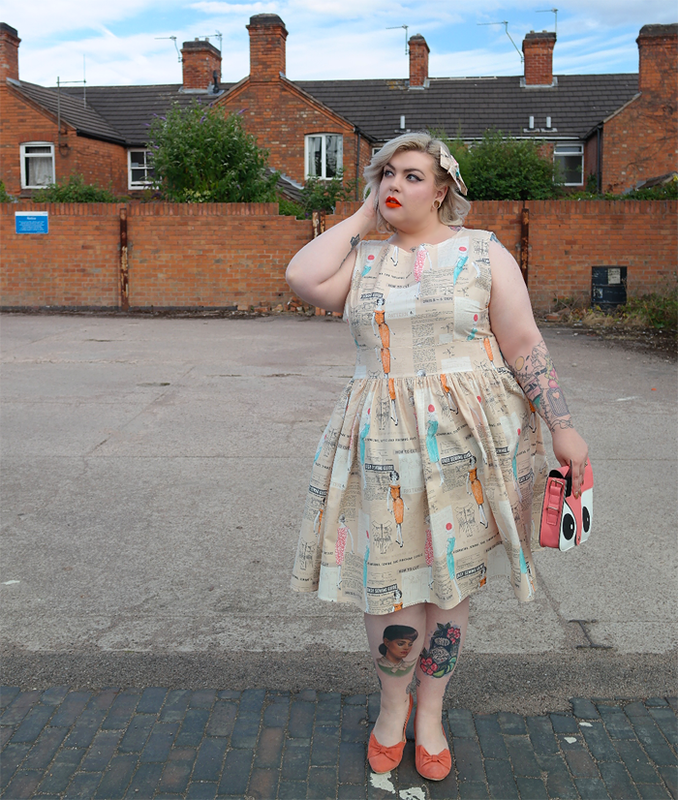 Sew Cute It Hurts - Fifties frock fun with Silly Old Sea Dog - Sugar, Darling? 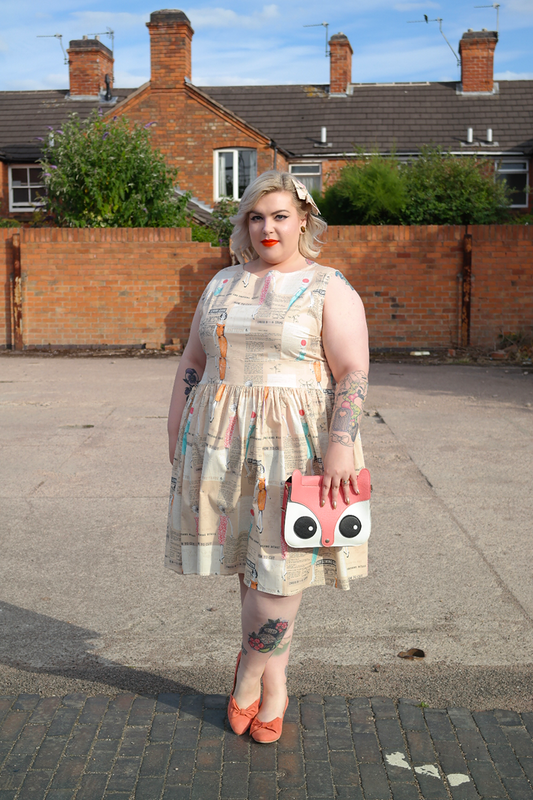 Although my make up I always quite pin up inspired with a cat eye and bold lip colour I sometimes forget how much I love putting on a pretty vintage inspired frock and some cute kitten heeled pumps. It instantly makes me feel so much more feminine, I feel like I somehow walk a little differently (most likely with a bit more wiggle!) and a full skirt always seems to put a smile on my face! I think 1950's style fashion was just so fun, after all the rationing was coming to an end and fabric was again becoming luxurious and being printed with sweet patterns. Fun is I think the word that sums up Silly Old Sea Dog perfectly, the designs are all based on classic vintage patterns in an array of wonderful prints that add a lovely injection of whimsy! One of the best things about the brand in my opinion is that it caters for such a wide range of sizes, from a UK size 8 to a size 28! 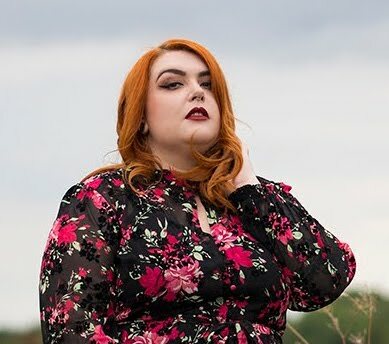 I think Alison the creator of SOSD is doing something really fabulous and brave here offering such an inclusive size range from a fairly new company - major props to you Alison! You can read more about Alison and the story behind SOSD on their website right here. 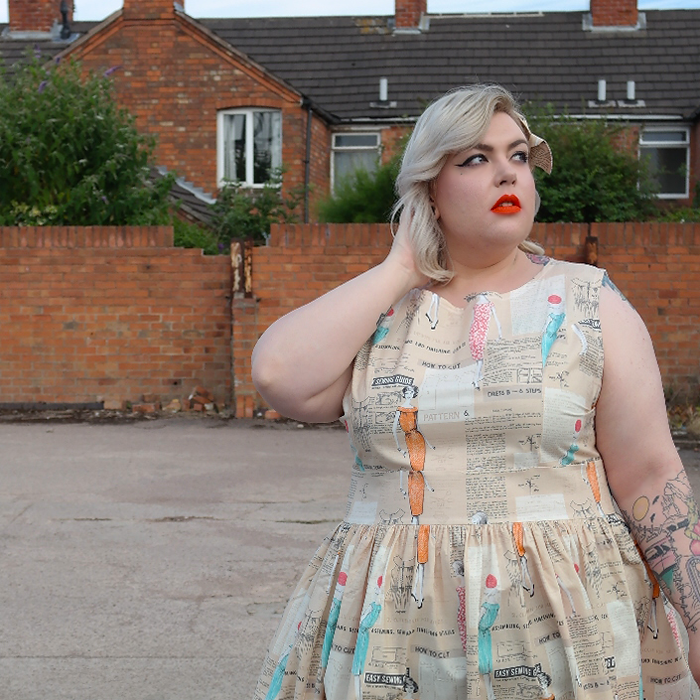 The design I'm wearing here is the beautiful 1950's Style Dressmaking Dress (£109.00*) and I just can't get over what a sweet style it is! Other than the lovely print featuring chic ladies in lovely wiggle dresses and snippets from sewing patterns I think the most wondrous thing about this style is the fullness of the skirt - I'm not wearing a petticoat here but as you can see the skirt still looks lovely and voluptous! It's also the absolute perfect length for my 5'7'' body sitting right at my knee. Alison actually recommended that I go for a size down in this particular style and she was definitely right, I usually wear a UK 24 but this dress is a 22 and fits very comfortably. Another real bonus is the matching large hair bow (£6.00*) that you can see below, isn't that an adorable little extra? Now I do know that the price may put a few people off but you need to bare in mind that all of these dresses are made here in the UK from 100% cotton fabrics and I personally am always happy to support a growing business. Just think about it, you get a gorgeous new frock and that wonderful feeling that you're supporting the independent business economy - a double win! If you would like to go ahead and bag yourself one of the these gorgeous designs Alison has very kindly offered all Sugar, Darling? readers a treat! 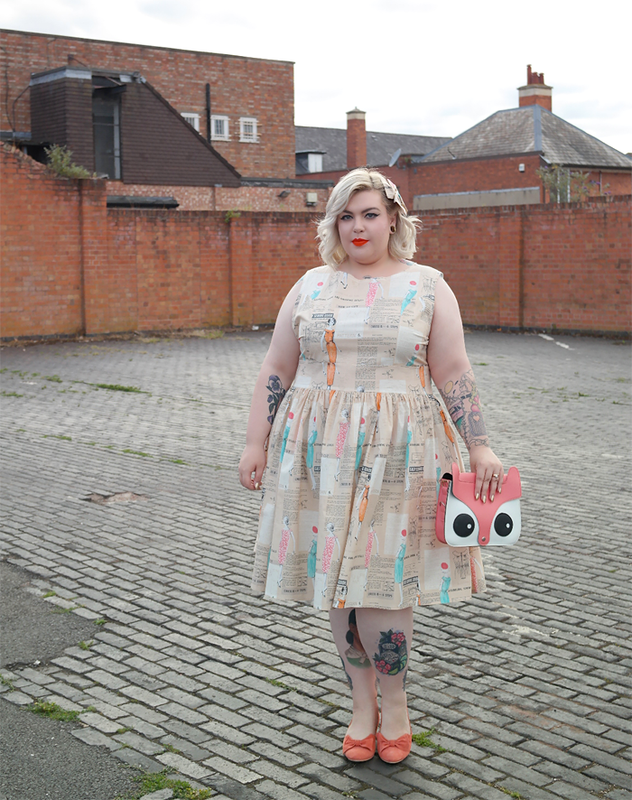 Until July 31st you can get 15% off your SOSD purchase by using the discount code SUGARDARLING at the checkout! So what do you think, do you love SOSD as much as moi?